On the fourth of July besides watching fireworks we took off and tried a cool restaurant, Abe’s Hide Out and Saloon in Mechanicsburg, Illinois and decided to also stop at the Walnut Stree Winery in Rochester, Illinois. They offer wine tastings daily and out in the wine garden there is often entertainment . You can even try your hand at a round of bocce ball on the bocce ball court. 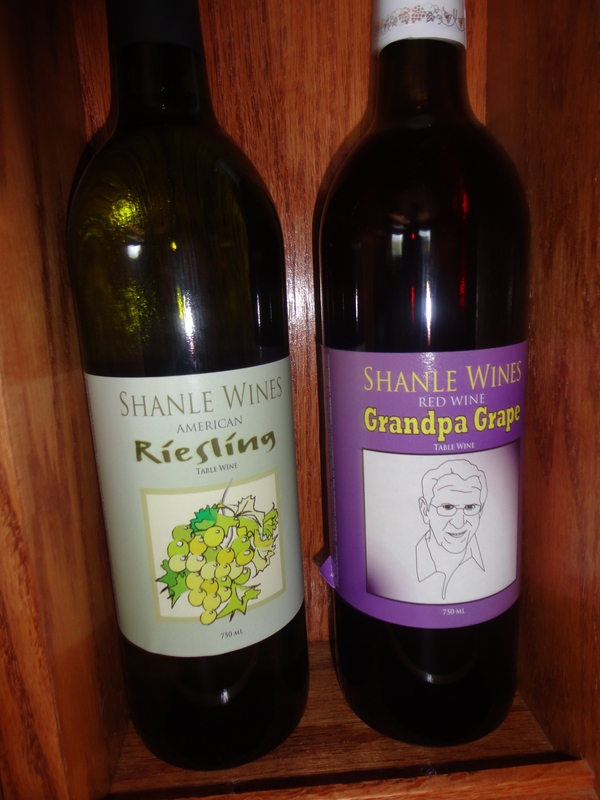 Owner Loren Shanle makes the wine onsite with grapes imported mainly from California. He produces, bottles and labels at the shop. A former insurance agent, he turned the house that used to be his office into a winery adding a tasting room and wine garden. The winery is a pleasant place to stop and while away an afternoon or evening. We particularlly liked the Tropical Breeze and brought home a bottle to try while sitting out on our own deck! This could be a new addictive stop!